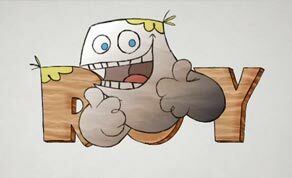 Animated character ‘Roy’ is moving out of the Ballyfermot home he has lived in for the last three years, and moving into a new house in Dublin 4, as production on the new series of the kids’ programme moves to Ardmore Studios. Series three and four of ‘Roy’ will begin principal photography at the Wicklow-based studios for the first time on January 14, after the location used for series one and two, a school in Artane, was recently sold. The next two series will be filmed back to back, with principal photography lasting 20 weeks in total, and wrapping on May 17. Simon Delaney will reprise his role as Roy’s father Bill, as will all adults who play recurring characters. Child actors who featured in the first two series will be re-cast as they have now grown too old for their parts. The third season will see Roy, a cartoon boy living in the real world, get to grips with his new life in the leafy suburb of Dublin 4 in south Dublin. Once again, the series will be produced by Mark Cumberton, with John Rice the executive producer. Alan Shannon will direct, with Ian Hamilton the production manager and producer. Lena Byrne is the returning script editor, while Niall Mooney will head the post-production team for Jam. Post will begin as soon as episode one is filmed, with delivery scheduled for June 2013. CBBC will then air season three in January 2014, followed by RTÉ Two. The Production Depot is supplying equipment for the 20-week shoot in Ardmore. ‘Roy’, a show which combines live action and animation, has proved to be a winning formula for Jam Media, scooping a BAFTA Children’s Award last month for Best Drama. The production has also allowed Dublin-based Jam to expand its production studio to Belfast, and create 60 additional jobs following a new commission from the BBC. The new Belfast-based venue, called Jammy, will look after composting on Jam’s projects, with the two new series of ‘Roy’ the first production to enter its doors. Ardmore Studios meanwhile, recently played host to the second series of Grand Pictures’ ‘Moone Boy’, which stars Chris O’Dowd and David Rawle.